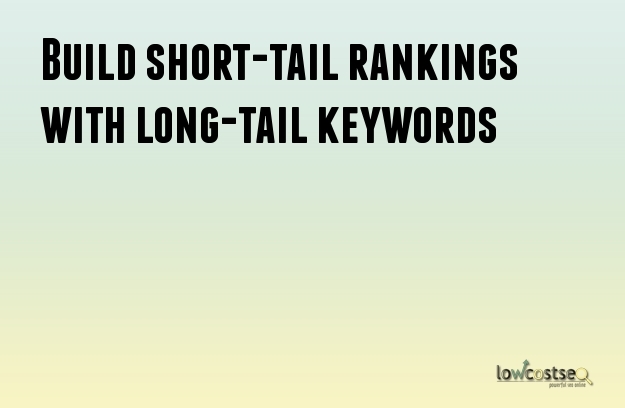 It can be hard for a new website to rank for short-tail keywords that have got a high-volume. This kind of competitive keyword phrase space can pose a challenge to any SEO tactic. This is even true for websites that have got already been established as a high-authority domain. But there is a way for you to reach into that niche and gain more ranking in a very competitive keyword market. You have got to remember that when it is about search terms, very few of those new search terms are actually unique. You have got to assume that most of the searched keywords that are being used have already been used in the past. You can actually use that fact to your advantage since you can optimize your keyword phrases according to a number of different criteria, and when you do that, you can use long-tail keywords to increase your search rankings. Whenever you are searching for any topic, you will get thousands of different kinds of keywords. And each of those keywords will be about other kinds of topics that searchers are specifically looking for. You will need to remember that you cannot hope to optimize one site page to fit each and every given keyword as it relates to your site topic because there are just too many of those site topics. You can instead try to optimize for the user's search intent. You can try to categorize and divide various segments into keyword phrases wherein the intent of the searchers was relatively similar. Optimizing your site content according to searcher intent is way more practical, and it is also actually possible to do so. You can get more web traffic to your site based on whether or not you have optimized its content according to searcher intent. You may think that not bothering with short tail keywords is the best and most practical option to take, but you are actually wrong. True, it takes a lot of work to effectively optimize your site content according to short tail keywords, since it is very competitive and costly. But you can use a mix of both long tail and short tail keywords to build up the content of your website. Utilizing both these kinds of keywords can allow you to make your site content more relevant in particular kinds of searches. It is important to remember that when you are optimizing your site topic and content, you should be patient. It will take a lot of investment of time and money in order to ensure that all of the content of your site is optimized for user intent and short tail keywords. And you will only be able to see the fruit of your labor after some time has passed. You will need to try and be patient if you want to see any positive outcomes from using long tail keyword optimization for your site.